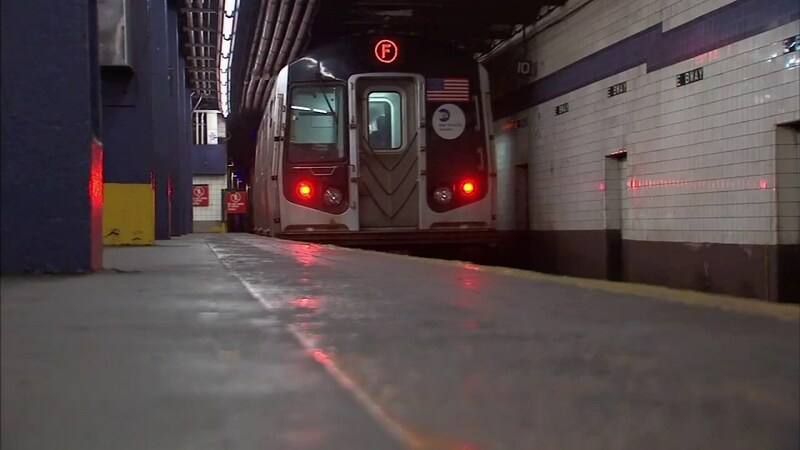 KEW GARDENS, Queens (WABC) -- A subway rider died after he was dragged by an F train in Queens Monday night. Police said the man, identified as 51-year-old Edward Leonard, became caught in the doors of the southbound F train as it left the Union Turnpike-Kew Gardens station just after 6:45 p.m. He was dragged and struck his head against the platform. He was pronounced dead of apparent head trauma at Jamaica Hospital. Officials said the man appeared intoxicated. Authorities are looking into exactly what happened, but it appears a piece of his clothing became stuck in the subway car's doors. Leonard may be homeless at live at the Skyway homeless shelter in Queens. The MTA says the investigation is ongoing.